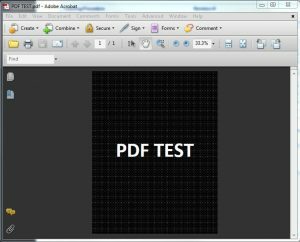 Are you looking to add some blank white space around a PDF document? I have come up with an easy solution which will allow you to perform this task in few simple steps. Please note that you will need the Standard version of Adobe Acrobat to perform this task. 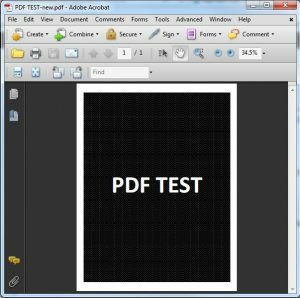 I am using Adobe Acrobat Standard 9 for this tutorial. Step 2: Click on File > Print Setup. Step 3: From the Print Setup window, select Adobe PDF from the priner names. Step 4: Clcik on Properties. Step 5: Click on Layout Tab. Step 6: Click on Advanced. You will see a window like below. Step 7: Click on the dropdown menu next to Paper Size. Step 8: Select PostScript Custom Page Size. Click the button next to this option which states Edit Custom Page Size. Step 9: I want to add an inch of blank space, so I will type in 9 (inch) for Height field. For every inch, you will get about half an inch of blank space. You can play around with it to get the desired space you want. Click OK until you return back to the main window. Step 10: Click on File > Print. Step 11: Ensure you have Adobe PDF selected under Printer Name. Click OK to print. 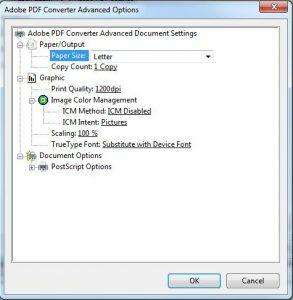 Adobe Acrobat will generate a PDF file and prompt you to save the File. Save the file and have the file open. Step 12: Using the newly created PDF file, repeat steps 2 to 8. Step 13: Once you are seeing the PostScript Custom Page Dimensions window, Type in 11 (inch) in the Height field. Click OK until you return back to the main window. Step 14: Repeat steps 10 and 11. 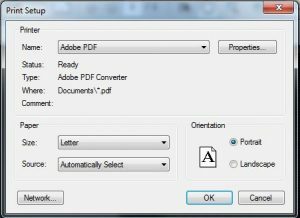 Step 15: Adobe Acrobat now generates a new PDF file with blank spaces around the document. There you go! I hope this helps. Leave a comment if it worked for you.